After the Cuban revolution in 1959 the country found itself with a 25% illiteracy rate. The revolution considered it urgent to assure that citizens of every age could read and write so they could fully participate in society. 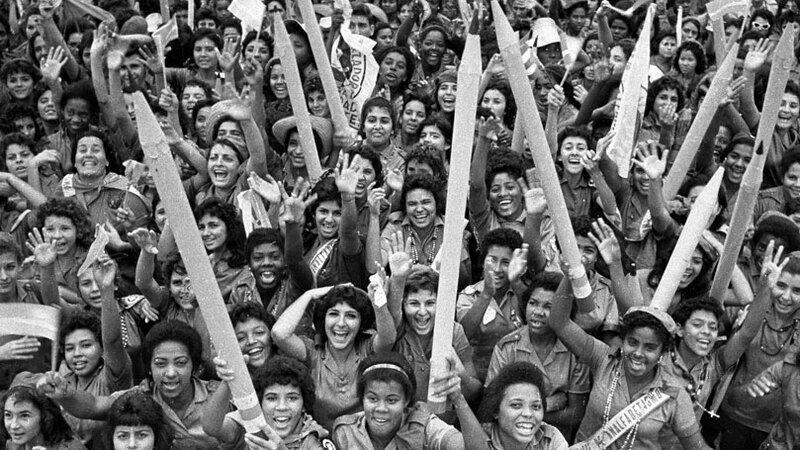 In 1961, tens of thousands of high school students, including hundreds of young women were quickly trained and spread out across the country in a successful one-year campaign to eliminate illiteracy, a horrible legacy of colonialism. The inspiring film MAESTRA (TEACHER) shows the experiences of the young women who defied custom, leaving their homes to work in the mountains and countryside, teaching students of all ages. In the course of this they defined a new role for women and transformed their own lives. Luisa Campos, director of Cuba’s Museum of Literacy is currently touring the U.S. She will speak on Cuba’s YO SI PUEDO literacy method developed from the campaign as well as current issues in Cuba.